Are you proud of the way your home looks? Do you love your furniture, the color palette, the pleasant scent, and accessories you so carefully picked? 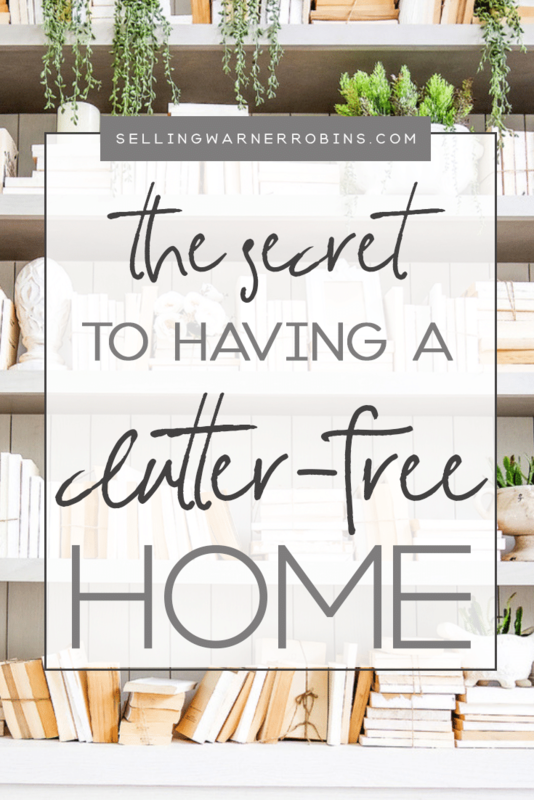 Do you want to keep your home clutter free? No matter how careful you are when you are picking the furniture and decorating your home, even a professionally designed space full of luxurious pieces will not look good if there is clutter all around. Even when you clean everything up, after a while clutter piles up again. Is there a way out of it? Luckily, there is! Here are some good tips to help keep your home clutter free and looking its best every day of the year. While making lists and plans may seem like a waste of valuable time to some, you should know that without a solid plan you will likely get lost and probably make even more clutter. Make a list of all the rooms in your home, and try to decide how much time each of them will need. The bathroom might not take more than 45 minutes to an hour, but children’s rooms and the living room may take more than 2 hours, depending on the clutter left laying around. Make rules: do not allow yourself to waste time looking through old family photo albums or going through your old notes or keepsakes. You will lose hours and will not even notice, and you will not get any work done. Limit your time and get down to business, it is the only way to make real progress. There is nothing worse than starting to clean things up only to discover you have just run out of trash bags and empty boxes. If you have to stop with the decluttering mission in order to get to the store, you will lose not only time, but may lose the motivation to continue when you return. To make sure everything goes smoothly, always have enough supplies handy and nearby. Before you know it, you will fill them up with things you decided you no longer need. Always make at least four piles: pile of things you want to get rid of, pile of things you want to keep, a pile for things you want to give away or donate, and another one of things you are not yet sure about. A good tip is to get some sort of timer! It can be an app on your phone, a watch timer, or a small ticking one you use in the kitchen, but get your hands on something that will help you keep track of time and stay focused on the task at hand. One of the biggest eye sores in a cluttered home is the amount of paper that is lying around. Bills, newspapers, work documents, magazines, books, and a host of other paper products can be found in most homes. It is a great idea to develop a plan of attack and go as paper-free as you possibly can. You can start by signing up for online subscriptions or notifications. Then move on to scanning key documents or files. The rest is probably stuff you meant to throw away but did not get around to eliminating. Take the assortment of throwaway items and shred everything with privacy act information on it. The rest you should put out with your weekly recycle bin. You might think that the only way to get rid of clutter is to organize a huge decluttering project with plenty of trash bags and a few friends willing to help you, but it is not always the case. If you make small changes and adopt some healthy habits, you will notice that the clutter is not piling up the way it used to. The easiest habits which help the most include cleaning the kitchen after each meal (sometimes cleaning up after you cook and after you finish is a good idea as it makes the amount of work smaller) and when you finish using a certain object put it back (clothes, books, toys, etc.). The room with the most traffic usually has the most clutter (mail, schoolwork, clothes, shoes, cups, etc.) and each area requires a bit more effort on your side to stay neat. A key tip is to ensure you are not the only person in your home doing the cleanup. Every family member should do their part and make sure they clean up after themselves! If it is an issue, develop a clean-up chart for specific rooms, areas, or inhabitants. Some of us simply cannot imagine our lives without getting our hands on something new. Be it a new piece of furniture, new books, new trinket to keep on the coffee table, or some other type of gadget. If you are like that, there is an easy way to ensure you keep your home clutter free. For every item you bring in, another one has to go out. If you follow this rule and ensure a new cup means an old cup goes away, new cushions replace the old ones, as well as carpets, furniture, and photos, you will keep the clutter to a minimum and your home will be easier to maintain and clean. Another key thing you can do is get rid of duplicate items. Do you still have the 3 toasters you received for your wedding? How about the 2 organizers to keep your important documents and bills sorted? The more excess you eliminate, the easier it will be to keep your home clutter free. There will always be things which you cannot part with, but which you simply cannot keep in your home anymore because of space issues. Antique furniture, grandma’s china, bikes, vanities, even kitchen appliances that just have to wait for the right time to be used again do not have to clutter your home any longer. A good way to do this is to hire a cheap storage facility and take all your things there until the time comes to use them again. Putting your items into storage is also a great solution when you are not exactly sure what to do with the items but you know you do not want to get rid of them. A good rule of thumb is, if you do not use the things for over a year, it means that you probably do not need them and should consider getting rid of the items. Stop trying to fill all of the available floor, counter, and table space. Instead, if you absolutely must keep the items, consider optimizing available vertical space. If none is available you can easily create shelving options and there are plenty of garage storage ideas to help get that area looking its best too. A good idea is to place the items you will use the most at eye level. Use the bottom and top levels for items you do not use regularly or which are seasonal. This will enable you to keep items but your home will still have the clutter free look and feel (assuming you do not over stock the storage space). Getting your home clutter-free is only half the battle even if it seems like your work stops here. You can easily undo all the hard work if you do not change your habits about bringing more things into your home! If the item does not enrich your life in some way, you should seriously consider whether you really need it! If you develop a daily or weekly ritual to clean up and out, you will find over time it takes less effort to keep your place clean. That gives you plenty of free time for the things you really enjoy doing. Follow the following guidelines and find success. Only buy and get things you will actually be using, involve all family members in decluttering, and continually look for opportunities to keep the clutter away. Also, eliminate anything you have not or will not be using again. These simple things will save you not only space and time, but money too (not to mention you will not be frustrated and annoyed while cleaning up). No matter what you read on the Internet, there is no way you can declutter your home overnight. It does not matter if you live in a miniature apartment or a huge villa, clutter will make it look messy and cramped. Do not let piles of junk get in the way of a beautiful home nor should you allow the mess to get ahead of you. Keep it simple, organized, and create a soothing zen atmosphere. 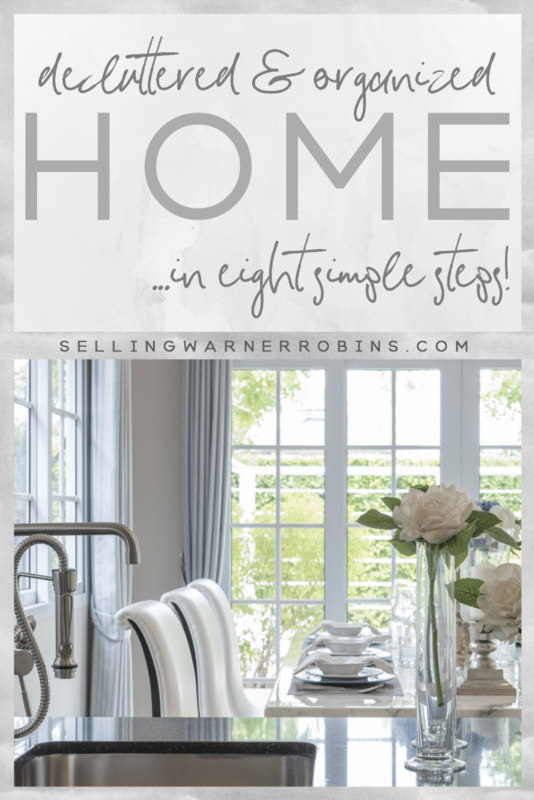 If you are planning on putting your home up for sale on the local market, these tips will get you started on the right path. Potential buyers should not have wade through your stuff to get from room to room nor should they see stacks of things as they make their visit. Do your part to make the experience rewarding and you may end up with a sold home! Ultimately, you should find a system that works for you and periodically perform a decluttering action to keep your home clutter free. The result is you will be house proud and others will notice how neat and tidy your home looks! Yikes, Anita, I’m so glad you aren’t my next door neighbor!! Great Article and a perfect Kick in my REMINDER BUTTon! HAD to share this one! THANKS!!!!! Nice to read the one, really its waste to read many article if we not implement it, thank you for sharing it, want to Manage your Company trade go for the cloud based Integrated Trade Promotion Management. one question ….. HOW DID YOU KNOW MY HOUSE WAS CLUTTERED!!! Just found your blog today, thanks for the good read.